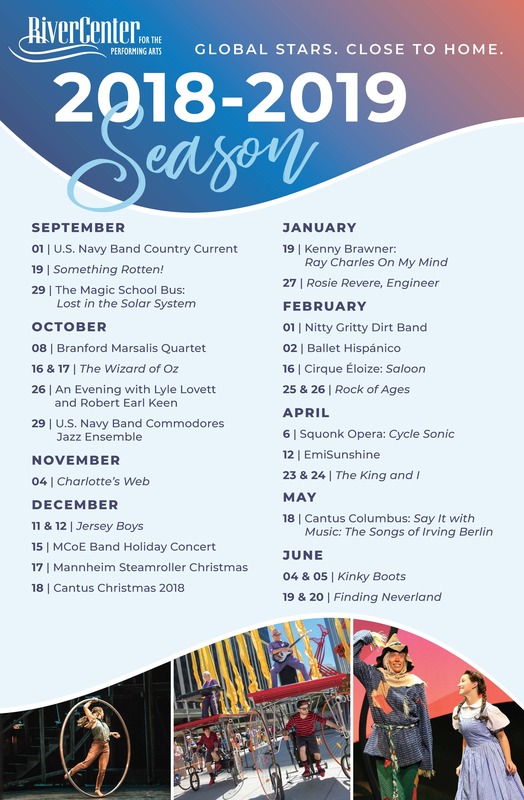 Single tickets for all shows excluding Mannheim Steamroller Christmas go on sale August 13. Single tickets to Mannheim Steamroller go on sale October 12. The deadline for subscription renewals is July 30. Seating for new season subscription orders will begin August 1. Please contact RiverCenter’s Box Office at (706)256-3612 Mon – Fri, 10AM-5:30PM for more details.